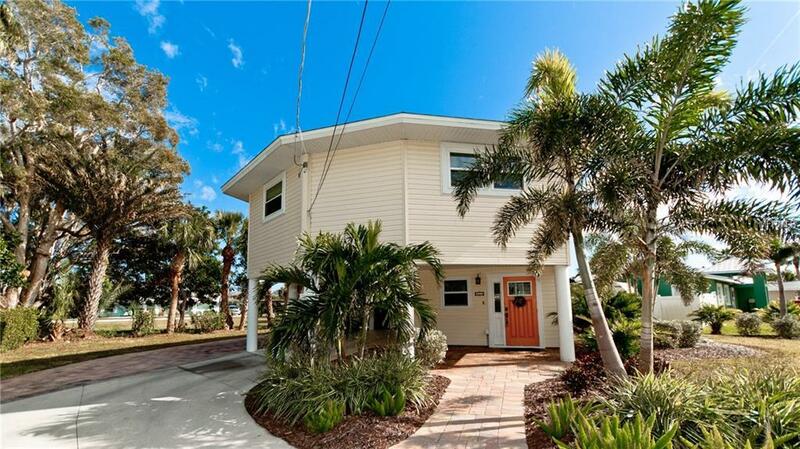 Quiet residential area of Holmes Beach near the north end of Anna Maria Island! This elevated 2B/2B home comes with a deeded unimproved boat slip and has an open floor plan, which is totally remodeled inside. There is all new wood flooring, a brand new kitchen and bathrooms, new high impact hurricane windows, new AC system, and more! This home also includes furniture.A nearly 10,000 sq. ft. yard offers spaciousness and privacy with plenty of room for a pool! Carpeted utility room lower level, wonderful screened in lanai, and also an open deck with plenty of sunshine! MUST SEE and OWNER IS MOTIVATED!